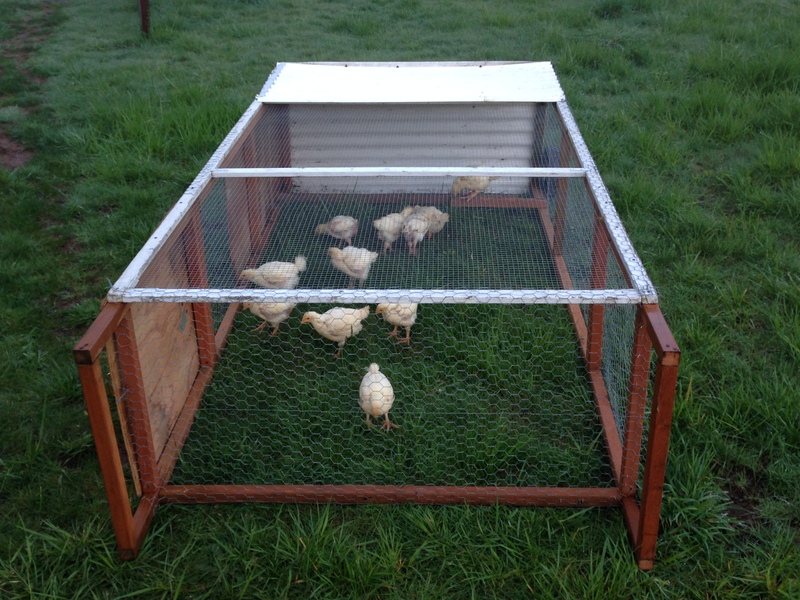 I recently read You Can Farm by Joel Salatin (http://amzn.to/1mwMEIi) and wanted to experiment with raising chickens exclusively for meat (I already have egg-laying hens). 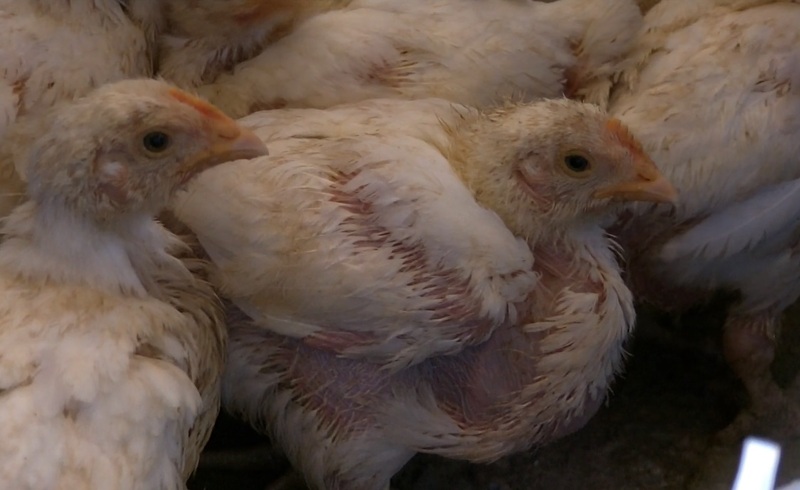 I purchased 12 Cornish Rock Broilers on February 28th, 2014 from the local farm store and put them in a brooding bin. The birds are now one month old and a decent size. 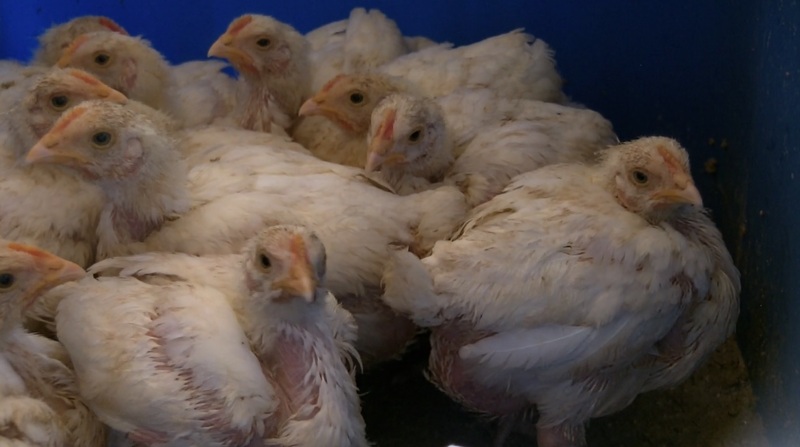 They are said to be a harvestable size at 8 weeks. One thing that really stands out about this type of bird are the size of their breasts. Most birds at this age do not look like this. I named them all Pamela Anderson… yes, ALL of them. 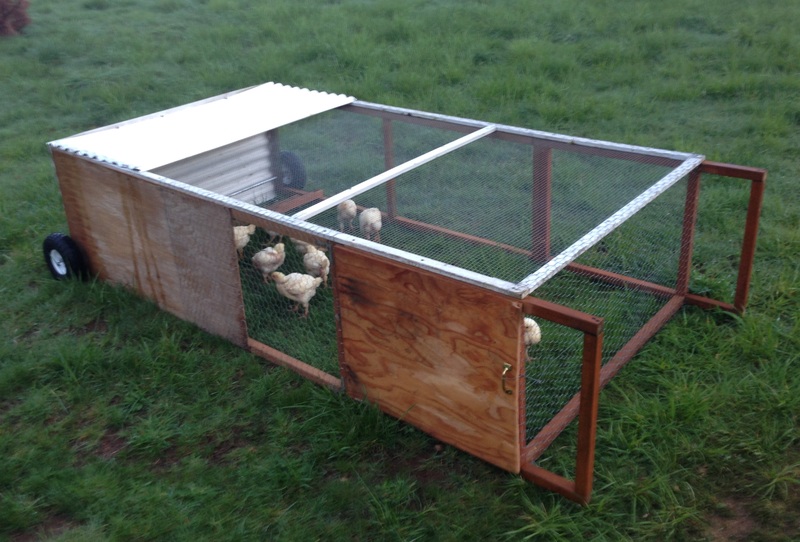 Phase 2 of the experiment has begun as we moved the chickens outside to a tractor system made almost entirely out of scrap materials. The tractor system will allow grass to supplement part of their feed, which is good because they are ALWAYS hungry. If you counted closely you may note there are only 11 birds in the tractor when I stated we had bought 12 at the beginning of the experiment. Sometime between then and now one of the peeps escaped. I have no idea when nor have I located the missing bird… but I can tell you this. I blame the blockbuster hit from 2000, Chicken Run for this mishap. 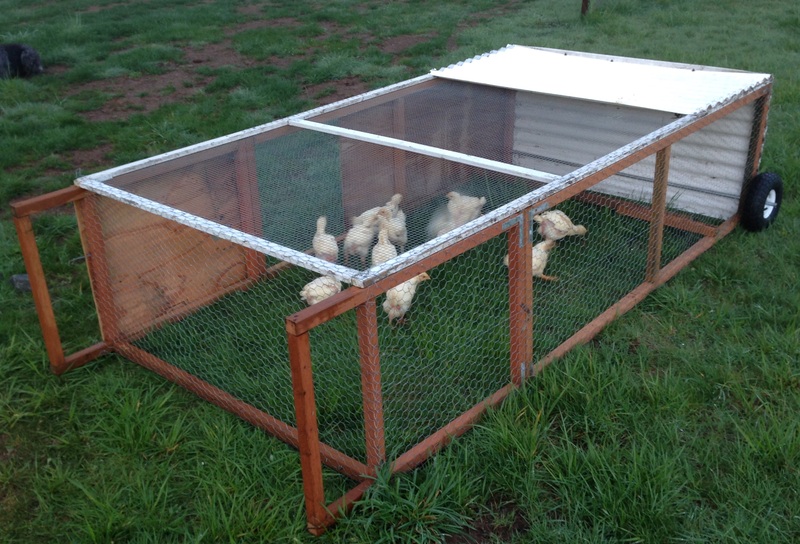 The downside of urban farming is that it limits some larger production strategies such as pastured poultry. Luckily I have some great friends who partnered with me on this experiment. Special thanks to my good friends George and Tara Meadows for continuing this experiment out on their farm and for supplying photos of the tractor for your enjoyment.